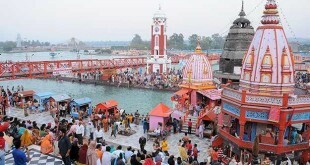 Haridwar is a popular city in the Indian State of Uttarakhand and is a lovely place to be in. Not only there are some amazing shopping markets in Haridwar, but there are a lot of popular tourist attractions in Haridwar and nearby. Usually on the weekends people either love to hang out for shopping or they look out for Water Parks in Haridwar. As it is a small place, there is only one water park in Haridwar. Summers in Haridwar can be a bit harsh and to beat the summers visiting a Water Park in Haridwar is definitely the best choice. Today, we will tell you all about the best water park in Haridwar. Let’s get started ! Crystal World Water Park in Haridwar is spread across an area of 18 acres. Having 40+ rides and thrilling activities, Crystal Water Park in Haridwar is a well known picnic spot in Haridwar. Well known as the best water park in Haridwar, it is known to give the same kind of fun and enjoyment to people of all age groups. Some of the most popular rides here are 5D Ride, Pirates themed- North India’s largest ‘Family Water Pool’, Wildwood Jungle themed- ‘Multi Slide Water Tower’. It is also known for its Multi cuisine restaurant known as ‘Snacks Den’. Crystal World Water Park of Haridwar is known to be one of the best destination in Uttarakhand to organize Events like Marriages, Musical Nights, Campings & Night Water Park etc. For this reason it has also been awarded twice as ‘BEST PARK FOR ORGANIZING EVENTS’ in their facility by IAAPI for 2 consecutive years. This is our list of Top Water Park in Haridwar. Have a Good Time !